HMD Global launched its Android-powered Nokia smartphones in India earlier this month. 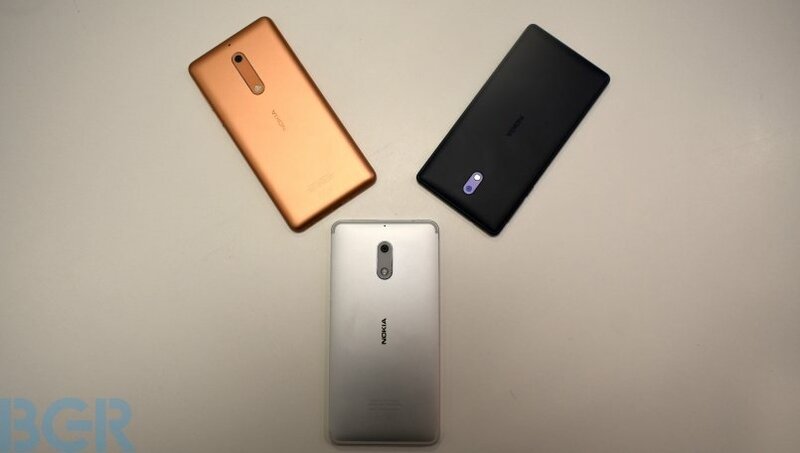 HMD Global in partnership with Vodafone has introduced special offers on purchasing the Nokia 3, 5 and 6 smartphones in India. The Nokia 3 priced at Rs 9,499 is available offline and also online via Croma. The Nokia 5 priced at Rs 12,899 will be available offline as well, while the Nokia 6 priced at Rs 14,999 will be available from July 14 exclusively via Amazon India. Nokia 5 and Nokia 3 users will get a total of 5GB 3G or 4G data free for duration of three months. To claim this offer, one has to purchase data pack of 1GB after which the user will receive the additional 4GB data. This offer is applicable for three recharges. Vodafone’s 1GB data pack starts at Rs 142 with prices varying in different circles. Nokia 6, the costliest variant of the three will receive the best offer by Vodafone. Nokia 6 users will get a total of 10GB 3G or 4G data, on purchasing the 1GB data pack. This offer is applicable for three recharges as well. The same offer is open to Vodafone postpaid users too. Vodafone postpaid users who purchase the Nokia 3 or Nokia 5 will get 5GB of 3G or 4G data for 3 consecutive billing cycles. Nokia 6 users will get 10GB of 3G or 4G data for three consecutive billing cycles. To avail this offer, Vodafone users would need to have at least 1GB of data on their postpaid plan. Vodafone’s latest offers will be applicable for all its circles across the country. Vodafone has a similar offer for the OnePlus 5 where users get 9GB of 4G data on purchase of 1GB 4G pack. Recalling the smartphones, the Nokia 3 features a 5-inch HD display, and is powered by MediaTek’s MT6737 quad-core SoC clocked at 1.3GHz. The smartphone comes with 2GB of RAM and 16GB of onboard storage. For photography, the Nokia 3 sports an 8-megapixel rear and an 8-megapixel front-facing camera. It is fuelled by a 2,650mAh battery and runs on Android 7.0 Nougat out-of-the-box. The Nokia 5 comes with a 5.2-inch HD display and Qualcomm’s Snapdragon 430 processor under its hood. The smartphone is paired with 2GB of RAM and 16GB of internal storage. For photography, it is equipped with a 13-megapixel rear camera along with an 8-megapixel front camera. Keeping the smartphone ticking is a 3,000mAh battery, and it runs on Android 7.1.1 Nougat out-of-the-box. The highest variant of the three, the Nokia 6 features a bigger 5.5-inch full HD display with 2.5D Gorilla Glass on top for protection. The smartphone is powered by the same Snapdragon 430 octa-core SoC and paired with 3GB of RAM. The smartphone also comes with 32GB of internal storage. In the photography department, the Nokia 6 sports a 16-megapixel rear camera and an 8-megapixel front camera. It is fuelled by a 3,000mAh battery and runs Android 7.1.1 Nougat out-of-the-box.